RETURN POLICY: This product is in guaranteed working condition. If for some reason you are unhappy with your purchase notify us within 15 days after you receive the item.All returned items must be in their original condition and packaging.Unfortunately, we cannot take returns of products that have been (dis-)assembled or modified. 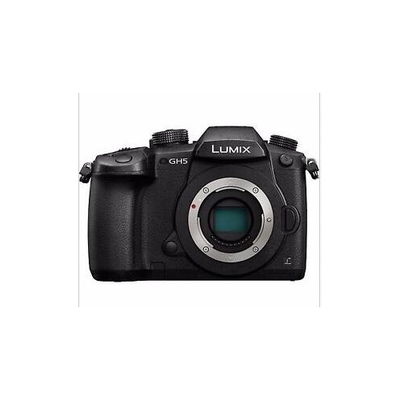 www.saleholy.com Image result for panasonic gh5 body onlyImage result for panasonic gh5 body only Capable of 6K Photo and 4K recording, the Panasonic Lumix DMC-GH5 with 12-60mm Lens is a new upgrade to the popular GH4, offering exceptional performance for professional photographers and videographers alike. Built around a new 20.3-megapixel sensor and Venus Engine image processor, the flagship GH5 is capable of recording 4K 60p/50p footage and 4:2:2 10-bit 4K video to UHS-II compatible dual SD card slots. Like its predecessor, the GH5 is fully weather-sealed and offers 12fps continuous shooting.